I took 4 years of Spanish in high school and remember none of it. My husband spent 1 year living in Japan, with a Japanese speaking family, and still remembers all of it. This is why my kids go to a language immersion school and I’m so excited about this summer camp! Conmigo is a hands-on Spanish immersion summer camp in the historic Houston Heights. 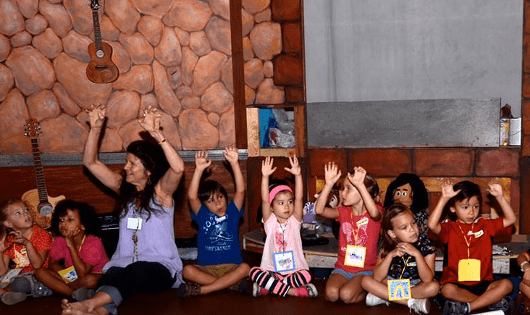 The two week session is an introduction to the Spanish language through stories, games, art, culture, music & food! The teachers are fluent in Spanish and have degrees in Early Education. Also, the founder, Kim Martinez taught my two older kids at Poe Nursery School. The camp is almost full but is still taking applications. Go HERE to learn more!